I'm attempting to create a simple component in a DEV environment on an SDL Web Cloud (SDL Web Content Manager - Build 8.6.0, SDL Web Content Manager Explorer - Build 8.6.0.45274, Update Version - 0, SDL Web Experience Manager - Build 8.6.0.46292) within the content publication and it's greyed out once I save it. Google search came up empty. Check the cd_client logs and found no errors. Check that my user/group has full permissions. Check the history of the component and version is 0.1 and with the comment "Creation". Inspect the component using Chrome inspector and found components have the class "ghost" applied to it. Check the documentation for SDL Web Cloud and SDL Web 8.5 for any known issues with no luck. Note: workflow is enabled on this environment and attempting to add the component to a bundle is also not possible. Update: Please see the correct answer by David Forster in the comments below. 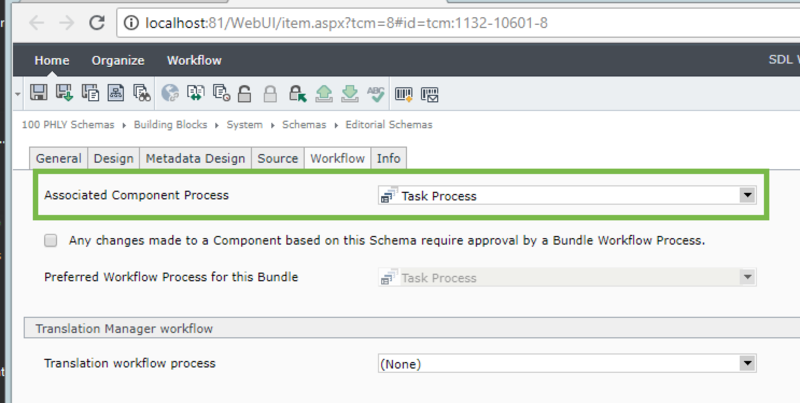 You may want to check whether there is Workflow set via the Associated Component Process on the Schema. This may put the Component straight into Workflow (as a Version 0.1) without needing it to be added to a Bundle. If a component is greyed out when it's just created, this usually means it's created, but not yet checked in. when you manually create the component in the CME gui, you save it, but you don't check in the component. there is some eventsystem code that intercepts the creation of the form and does something, but doesn't check in the result. To test, could you open the component (or open the context menu of the component, and choose versioning -> check in ? Normally, then the version 1.0 of the component should be created, and it should no longer be greyed out. Not the answer you're looking for? Browse other questions tagged web8 cme sdl-cloud or ask your own question. How to Troubleshoot “Pasting” Failure?